Beautiful Condo with extra features most do not have. 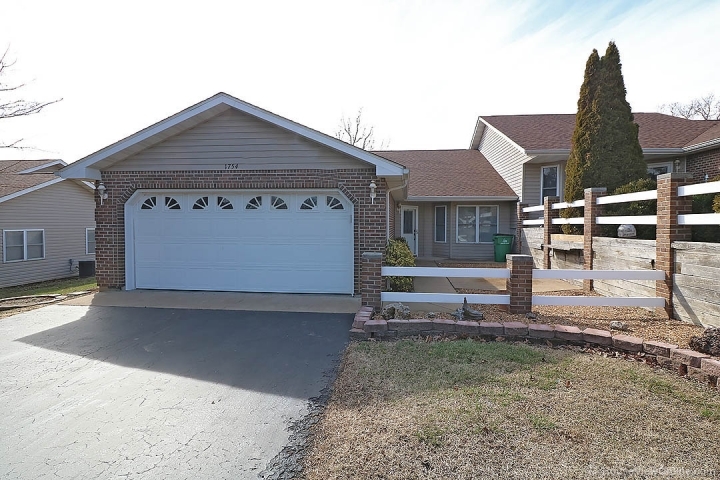 Located in Terre Du Lac Lake Community. Condo features 2 large bedrooms with walk in closets, master bathroom with double sink, large shower, walk in closet and smaller closet. New roof in 2016. You will love the extras in the home, 10x22 deck with built in bench overlooking the driving range at golf course, separate 6x9 laundry room, 9x9 back patio, front patio which is a great place for morning coffee, beautiful landscaped yard and 9x5 storage room that can be used for craft room. Home has been freshly painted and ready for you to move right in. Terre Du Lac features 16 Lakes, parks, beaches, and 2 Golf Courses. Only an hour from St. Louis.